A blog posted in April this year from Seven Stones Indonesia entitled Trends in Bali Property: Leasehold Investments pointed to signs that savvy Indonesians were becoming increasingly more interested in leasehold investment opportunities in Bali, especially commercial opportunities. This was a shift in the norm as most real estate agencies and their agents would argue Indonesian nationals traditionally preferred freehold over leasehold. What we’re seeing now, however, is the leasehold trend evolving to include residential as well as commercial interests with a focus on long-term villa rentals as a serious business opportunity. There are a couple of important points that help explain why this may be happening. One is the change of zoning, which happens every five years. Zoning determines what sorts of businesses can operate in what sorts of areas. It’s always been there, but it wasn’t something people took too seriously way back when. In the early days the government didn’t appear to be overly concerned about what went where. After all, what difference would it make if a short-term holiday rental villa was in the middle of a residential area? Why care? Don’t shoot the messenger, but times have changed and now authorities do seem to care. Building permits (locally called IMBs) are issued on the basis of the zoning, which then determines what kind of operational permits you can obtain. Basically this means a holiday rental villa must be located in a tourism designated zone and is not allowed in a residential one, which is where a lot of these villas can currently be found. This in turn has led to the other significant shift and that’s this: those holiday rental villas that do find themselves in residential areas aren’t having licenses issued or renewed and won’t be able to operate legally. Here’s the twist: they can if they change from short-term to long-term rentals, which are typically 6-12 month contracts. What could possibly be driving this seemingly contradictory move? Bali is one of Indonesia’s wealthiest provinces with tourism contributing an average of 31.5% of the island’s income over the last 15 years. (Source: Bank of Indonesia). Tourism across the country generated either directly or indirectly, 9.3% of Indonesia’s GDP in 2014 and that translates into USD 80 billion (source: World Travel and Tourism Council). 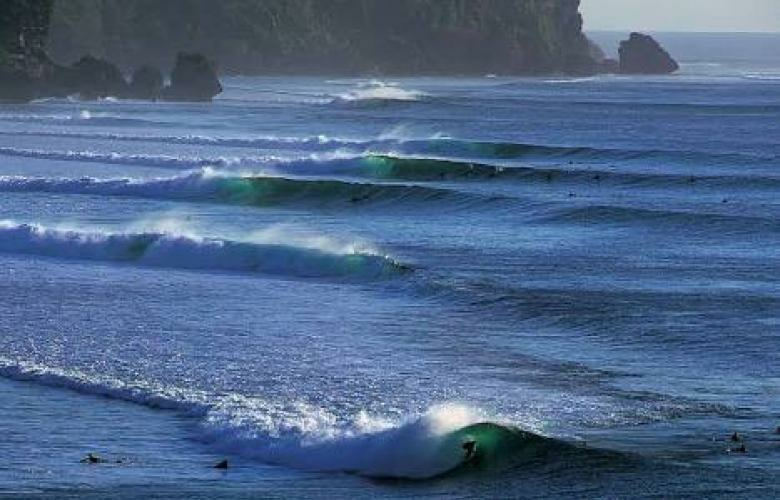 There’s no question tourism is a big business and Bali’s on the cutting edge. In a report published by the Bali Provincial Government’s Tourism Office on August 1, Bali has seen an average of 470,000 foreign tourists per month arrive from January through June in 2017. (To put this into perspective, the capital of Jakarta welcomed an average of around 150,000 per month over the same time frame.) Bali’s numbers are just shy of 3,000,000 foreign arrivals in the first six months of the year and local government agencies were forecasting a total of 5,500,000 million for the whole year according to Bali This Week. Domestic numbers are traditionally slightly higher. Last year (2016) this number reached 8,643,680. That’s a big pie more and more people want a piece of. But the traditional and regulated hotel industry isn’t getting what it sees as its fair share. After all, they employ tens of thousands of people, their families and support communities. They contribute to social welfare programmes and they pay their taxes. There’s no question that unlicensed (and unregulated) holiday rental villa operators have been undermining this. Another important thing to consider with this argument is the idea that there’s an over supply of hotel rooms on the island. Hotels are blamed for causing environmental degradation and for disturbing delicate cultural balances. They can be blots on the landscape with no place in the paradise of Bali. God knows, the last thing we need are more hotels! That’s a provocative point of view because it understands that the talk of ‘oversupply’ has been including the myriad of holiday rental options, which aren’t all legal and don’t all pay tax. And that’s the key point here. Tax. Because it’s the tax that helps to cover the costs of improving infrastructure, public facilities and services. Taxes also pay for employee education and medical services. Political will to make the collection of taxes easier and more transparent is high. Holiday rental villas in residential areas won’t survive the aftershock. They also have high operating and marketing overheads, which further eats into any ROI you might be collecting. Long-term rentals don’t. Property investment is all about the returns. Of course it is! You wouldn’t be playing the game unless you knew to maximise returns and minimise risks. 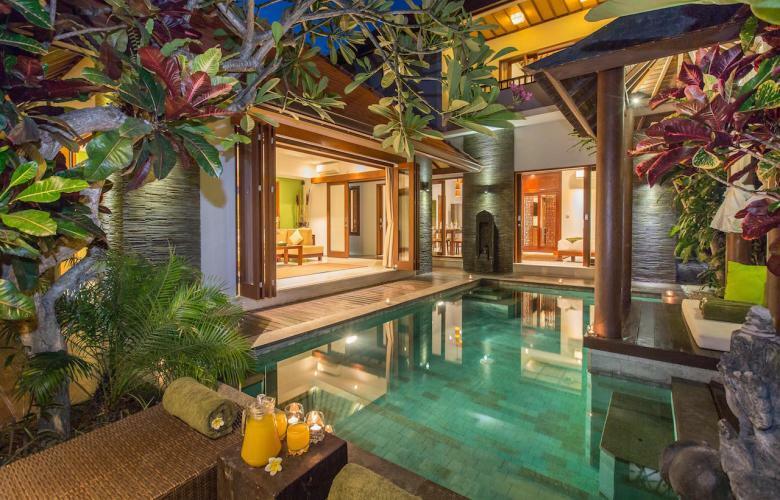 And one very positive way to do this is to tap into the long-term rental market which shows no signs of slowing down any time soon, especially in key areas like Seminyak, Batu Belig, Berawa, Sanur and Ubud. So how do you get into this long-term rental market and make a healthy ROI? Understand that freehold is more expensive than leasehold. Significantly more; a rule of thumb for residential properties is the cost of one year’s lease is an equivalent price to 1% of the freehold value of the land. That means, for example, a 30 year lease is going to be 70% cheaper than an equivalently sized freehold one. I’ll just let you pick your coffee off the floor. Here’s where it gets interesting though, especially for Indonesian investors because they’re able to get bank loans for as much as 60-70% of the value for freehold property purchases (foreigners don’t have these credit facilities and loans are not available on leasehold purchases) and that loan would typically be subject to as much as 8% interest per annum. That’s high. And those interest payments seriously impact the length of time to see any ROI. An Indonesian freehold property owner with a bank loan will be lucky to see 4% ROI in just over ten years. That’s not such a good investment if you think about it. Compare this to a leasehold property (on a 30 year lease for example), which is considerably cheaper and would see anywhere between 8-12% ROI (most typically 10%) in an equivalent time frame with no interest on loans to repay. As that penny begins to drop you begin to appreciate why so many Indonesians are investing in leasehold and tapping into the long-term rental market. Even if you’d invested in some renovations, new paint, landscaping and showed some tender loving care to make the property more presentable you’d still be under the freehold budget, the ROI would be relatively quick and then there’d be the added bonus of either continuing to capitalise on the lucrative long-term rental market or selling what’s left of the lease, moving on and doing it all again with the extra money you’ve got in your account. It’s a win-win-win-win!